Good evening and a very warm welcome to you. Many thanks to the organiser of this event, comrades Anais Cintas, Alex Maupin and the rest of the activists of the Table Rase Association. 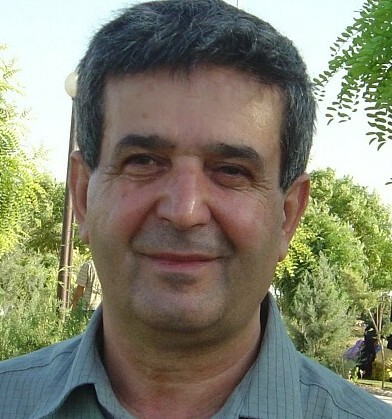 My name is Muayad Ahmed, I am from the worker communist party of Iraq, a member of the party�s politburo and editor of its official news paper Worker Communism (Asheoiya al Omalya). The subject of this seminar is: The Uprising of March 1991 in Kurdistan/Iraq. This is the first time I address this issue in a public meeting, though I was interviewed about it by comrade Nicolas Dessaux in late 2006. This seminar is an attempt to bring to light some aspects of the uprising in Kurdistan in March 1991 and assess it, stressing in particular on the role of worker communist and leftist organisations in that uprising and its aftermaths. Also, this work is a first step towards giving a more profound and detailed picture of what had happened. To begin with, I would like to highlight a few points. First, what happened in Kurdistan in March 1991 was neither a revolution nor the events of a revolutionary situation. Therefore, I am going to talk about an uprising, a mass uprising of the people of Kurdistan against the Baath regime whose rule was over-turned in Kurdistan in March 1991. Second, the uprising happened amidst the US Gulf War against Iraq and its forces slaughter of the Iraqi troops in Kuwait. Consequently, it emerged in the overall environment of and illusions about a reactionary war by the US which aimed at consolidating its sole super-power position over the world. Third, the objective dominant political perspective and horizon in Kurdistan society was that of Kurdish nationalism. Thus, what dominated the minds and the actions of the masses in the uprising of Kurdistan was a nationalist political prospect. Fourth, in this unique and complicated situation the worker-communism movement & its organisations, which comprised the main left in Kurdistan, took the initiative and triggered the uprising. In addition, the worker-communism movement was able to mobilise the workers, the toilers and the left minded and progressive young men and women of Kurdistan in a widespread armed, workers and people�s councils� movement, and created an independent left-wing political movement in Kurdistan. Communist Current CC (Rawti Komunist), Struggle Unity of Worker Communism SUWC (yakyati khabati komunisti krykari), and Workers View WV (sernji krykar). On 21 July 1993 the Worker Communist Party of Iraq (WCPI) was formed and the 3 organisations became part of the party. Finally, as I was part of the leadership team of the Communist Current, I would take this opportunity to refer to the role of this organisation and myself as far as I find it necessary to clarify the picture of the position of worker communism in the uprising and its aftermaths. Iraq and Iran were at war for 8 long years, from September 1980 until summer 1988. Iraq attacked Iran in Sept 1980 under the pretext of Iranian terrorist campaigns inside Iraq. More than one million innocent people were killed on both sides and a huge tragedy was imposed on the people of these two countries during the 8 years of war. The people of the two countries had nothing to do with this war. It was imposed on them and maintained by the two regressive and oppressive regimes, the Bath regime in Iraq and the Islamic regime in Iran. Iraq was encouraged to wage the war with the support of the US and the mainstream Arab countries while the Islamic Republic of Iran had a great interest in expanding its experiment in Iran and achieve its pan-Islamism aims. Tens of billions of dollars were given as loan to the Baath regime to maintain this war. Saddam and the Baath regime were supported financially, militarily, politically and economically by the US, the west and especially by the neighbouring Arab countries in the rich Arabian Gulf. When the war ended the Baath regime was confronted with the risk of releasing hundreds of thousands of conscripts from the army without chances of employment in the horizon amid the economic situation of a war torn country like Iraq in that time. In the two years between Summer1988 and 2nd August 1990 people in Iraq and Kurdistan breathed a sigh of relief from the long war. The Baathists were in full control of Kurdistan after committing their genocide against Kurdish people through chemical bombardment of the city of Halabja and brutal Anfal campaign between 1987-1988. The guerrilla forces of the PUK and KDP i.e. the main Kurdish nationalist parties were already devastated. They were forced out of most of Iraqi Kurdistan and their organisations inside Kurdistan were dysfunctional and demoralized. On 2nd August 1990 the Baath regime invaded Kuwait. Then, the UN imposed a series of economic sanctions against Iraq aimed at the people of Iraq and also to cripple the Ba�ath regime because the US was preparing for waging war against it and to forcibly drive out Iraqi troops from Kuwait. As to why Saddam invaded Kuwait, there could be many reasons: economic, political and strategic hegemonic aims of the regime. But the most important reason that gave him the courage to embark on such an adventure was the chaos created internationally as the repercussion of the collapse of the Soviet Union and the Eastern Bloc. But Sadaam did wrong calculations. He thought that he could take his own share of controlling that region and the US would allow him to do that. The pan Arabism aims of the regime was given a short new life as Saddam and his regime received support from the Arab nationalists outside Iraq and also among deprived masses in the Arab world who have not had the experience of living under the yoke of dictatorship of Saddam and his fascist regime. They had a disastrous illusion about him. They saw the invasion of Kuwait as an attempt to find a just redistribution of wealth in the Arab world and as an answer to the huge gap between the petrodollar countries of the gulf and the rest of the Arab world where the majority of the people are living in hardship and suffering the most. But the vast majority of the people of Iraq, especially in Kurdistan and the South of Iraq, were extremely against Saddam Hussein�s regime and wanted him go. They wanted to get rid of him at any upcoming opportunity during the escalation of the Gulf Crisis created by the occupation of Kuwait. During the seventies Iraq and Kurdistan had seen a huge economic development especially in the public sector i.e. in the state run production and services projects and also in the private sector. There was a big boom in the construction industry during the seventies and also the private small and medium business saw a major economic development. The education system leapt a major step forward and free and compulsory education for all was introduced. The agriculture was mechanised and huge profitable enterprises opened up everywhere. Women could, to an extent, easily find employment, in the services and the industry, and gained a good status and relative freedom during the seventies. The new generation of women were not restricted in many ways and had many more freedoms than today. Having said that, the main aim of the fascist regime of Baath in all that was to consolidate its grip on power. In 1975 the guerrilla war of the Kurdish nationalists under the leadership of the KDP had collapsed after Saddam�s notorious pact with the Shah of Iran. With a new round of guerrilla war started in 1976 under the leadership of PUK, the Baath regime waged a huge campaign of displacing the Kurdish people from the villages and their forceful relocation in massive residential camps in the suburbs of main cities and towns of Kurdistan in 1977. The majority of the people of Kurdistan were, by the end of seventies, already living in the cities, towns and the camps around them. The effect of this relocation campaign was huge. In a sense it forcibly transformed the whole of the rural areas into cities. The details of this and its social and political and cultural impacts should be studied separately. But what is important to stress on here is that during the uprising these camps were already huge concentrated residential places and had the potential to be a power base for either the leftists or the nationalists. The influence over them depended on how far we could answer their aspirations for a better life, how far we could engage them in an independent political movement in the councils during the uprising; otherwise it could become a base for the nationalists. The 8 year long Iraq-Iran war increased the inhabitants of the cities and towns still further as frontiers of the war broadened to engulf Kurdistan boarders with Iran resulting in the displacement of large numbers of people from these areas to the main cities & towns. The rate of economic growth declined severely because of the war and unemployment increased sharply. Consequently, the majority of people in the cities were living in severe economic hardship prior to the uprising. The prospect of finding a job was almost none for the young generation including the graduates from universities and technical institutions. The majority of young people in Kurdistan were defectors from the army who were then officially released during 1988-1990. The economic relation in Kurdistan prior to the uprising was one of a capitalist system that had developed over many decades. The class structure of the society was not of a highly developed one, nevertheless, it was the class structure of a capitalist system. The economy based on a mixed one, state and private sectors. Having said all that, the class and social structure of the society of Kurdistan during the uprising was already the structure of an urbanised society with the majority of the population living in urban areas and therefore living on earnings from waged labour and earnings from the work and services they do in cities and towns. The work that mainly connected with the state run and private owned small and medium businesses in general. The class base of the worker communism and the left was mainly the working class and the deprived strata, the youth from the poor and petty bourgeois families in Kurdistan. The balance of ideological trends in the society tilted to Kurdish nationalism and the interests of the bourgeoisie classes in Kurdistan more or less reflected in the different parties of the Kurdish Nationalist Movement (KURDAYATI). Consequently, the conservative and big feudalistic background bourgeois class in Kurdistan was mainly politically represented by the Kurdistan Democratic Party (KDP). The middle and petty bourgeois class were mainly politically represented by the Patriotic Union of Kurdistan (PUK). The political lines between the two were not clearly drawn as far as the class orientation and representation is concerned as they were both nationalists, reactionary and sustained tribalism and regressive ideas in the society which was in sharp conflict with the new social, political and economic changes that had already taken place in Kurdistan. These two main parties of the Kurdish nationalist movement were, in fact, one front and represented the bourgeois class of Kurdistan politically as opposed to the working class, the toilers, the majority of the young men and women. Today�s united political platform of the two parties as the rulers of Kurdistan proved the capitalist class nature of these two parties. Even the very recent split in the PUK and the emergence of (Goran) �movement�, (the change), did not bring about change in the capitalist and bourgeois class orientation of the main Kurdish nationalist factions. The change �movement�� is the same nationalist movement with a nationalistic agenda claiming to establish a regional government as an establishment on its own separated from the direct rule of the militia-type parties of the KDP and PUK. What Goran is asking for is, in the final analysis, a capitalist regional federal government based on a regressive nationalist ideology. It could to an extent channelize the anger of the deprived sections of the society into its own political gains but the agenda, the leadership and the dominant network activists of this movement is the old and new generations of Kurdish nationalists that have an anti-socialist and anti-leftwing political agenda in Kurdistan. The majority of the Kurdish young people did not serve the military and used either forged documents to avoid being arrested by the authorities or registered via tribal connections as the paramilitary members but with no specific military duties. Enmity towards the regime was huge. That was to an extent the reason that the Baath regime could not have a social base in Kurdistan. Even its security forces were not able to live in the centres and localities of the cities. The regime has allocated a specific district in Suliemanya city, for example, called the Security Houses District. The vast majority of the people were against the government. The genocide crime in Halabja and the Anfal campaign that was committed by the regime two years earlier was a tragedy still painfully alive in the minds and felt in the daily lives of the people. The just cause of the somewhat popular nation-wide civic resistance against the regime and civil disobedience was already common place among the people, especially the youth, and it was a massive source of bringing about change in Kurdistan should the government weaken. This anti regimes sentiment and this whole political and civil kind of resistance against the Baath and its oppression had opened up a unique opportunity for worker communism to intervene and give a socialist and progressive prospect to this potential movement. That was possible via organising the working class and working strata in an independent political movement. A movement that would stand up to the Baath regime, struggle against the national oppression against the Kurdish people and in the meantime expose the true reactionary nature of the Kurdish nationalist parties and their agendas and traditions. The nationalist parties especially the two main parties PUK and KDP and their armed forces were, relatively weak at that time prior to the uprising. They did not have broad and well connected underground organisation as they could not resist the campaign of the Baaths against them. Their underground organisations were almost paralysed and politically did not have strong networks of popular local activists and leaders to influence the path of the events quickly. However, the nationalist perspective was still strong among the masses and objectively dominated the minds of the majority of them. Not only that, the tradition of the guerrilla war and the experience of ruling some areas of Kurdistan which were out of the control of the Bath regime has given the PUK and KDP the image of two main powerful rival ruling parties. That was an image in the minds of some sections of the society, they were portrayed as being the only two powerful parties that could rule Kurdistan if the government were to be defeated. The Kurdish nationalist parties have already established a united front among themselves, called Kurdistan Front. The nationalists in fact used those two factors and invested on them hugely. Despite all that, the recent failures of both the PUK and KDP and the anti peoples nature of their policies, methods and tactics had already made them irrelevant to the cause of the people. They have already been envisaged, as a kind of a failure to bring about change in the lives of people of Kurdistan, in the eyes of large sections of the people and especially the young people who were one way or another influenced by the ideas and activities of worker communism. Our strong point was that we were able to make Worker Communism and the left alternative to this whole situation felt among the youth. Later on worker communist organisations could mobilize them in taking initiatives to set up the worker councils and peoples� councils in the residential districts of the cities and towns. The majority of the leftist activists were from the working class and lower petty bourgeois families of Kurdistan. Also, some sections of the new graduated doctors, engineers and degree holders were very active in the left wing organisation and later on in the council (Shoura) movement. Although, prior to the uprising the left in Kurdistan was not a united force, it was a popular trend among the youth and students, men and women and active not only in one part of Kurdistan but all over it. We, the worker communist organisations, could establish a fame of being a serious critical trend to Kurdish nationalism and Kurdish nationalist parties and exposed the true class nature of those parties and their anti peoples agenda and practices. The theoretical and political critical work that our group, the Communist Current (Rawti Kommunist), did during the mid 80�s onwards greatly contributed to establish a Marxist view and an un-compromising attitude and approach towards the Kurdish nationalists and nationalism. We acquired that through a long history of internal disputes and lengthy discussions and debates from the beginning of 80�s. By mid 80�s we had already managed to disassociate ourselves from the hegemony and the influence of the nationalist popular movement of the PUK and its various so called left wings. Not only that, we had already ended a long lasting dispute over the new agenda of the communist movement, in our previous organisation, the Struggle Unity of the Toilers (Yakyati Tekoshani Kargaran) by dissolving it and forming the new organisation �Communist Current�. Our determined theoretical work in defence of Marxism and international communist programme and practice as opposed to the narrow prospect of the Kurdish nationalists and radical populist left came as a result of an intensified study of Marxism and adopting the new ideas and criticism identified as Worker Communism by Mansour Hikmat, the influential leader of the Worker Communism movement. I wrote two small books in1989 in support of adopting an international communist programme by the worker communist movement in Iraq, titled: �A Concrete Programme or An International one?�. Prior to the uprising we already had almost 6 years of internal struggles between the different factions of the left who were in a way or another outside the tradition of both the Kurdish nationalism and the pro soviet Communist Party of Iraq. This new left which my organisation was part of was a left that had taken shape as a critical trend both to the Kurdish nationalists and the tradition of the Communist Party of Iraq and Stalinism. The origin of it could be traced back to the seventies. This left had changed significantly under the impact of Komala experience in Iranian Kurdistan and the publication of the Revolutionary Marxism ideas of Mansour Hikamt and his comrades during and after the revolution in Iran 1979. However, one thing is important here, this new left in Iraqi Kurdistan and its network of activists and supporters were not completely disengaged from Kurdish nationalism political prospect and practice. Even Komala in Iran was not saved from that influence and it had not completely disassociated itself from Kurdish nationalism as later developments of events showed. To have a socialist and worker communist view and an international communist view you have to work on it and sharpen the ideological and political aspects of it in practice. That is what I personally believed in and worked for together with the leadership and cadres of the Communist Current, especially with the other two comrades of the leadership team Amjad Gafur and Nadir Abdulhamid. The disassociation and separating from the practice and influence of nationalism and the PUK and the Kurdish nationalists was not and still not an easy job. When there was national oppression, the nationalist resistance to it, and when there is a national question, and also when you do not yet have a strong working class and socialist movement, then you are liable to be influenced by the dominant political prospects and ideology of nationalism. The masses were already under the impact of this dominant political prospect and ideology of Kurdish nationalism. Prior to the uprising the left was quite broad. As I mentioned the majority of them including us were influenced by Worker Communism concepts and ideas and the new experience of Komla in Iran as a left organisation having thousands of (peshmerga) armed personnel and ruling almost half of Kurdistan of Iran . The exceptional position of our organisation Communist Current C.C was that we had a relatively strong Marxist ideological and political consistency; a very well organised and disciplined leadership and organisation, and also having adopted a successful political tactic during the uprising and its aftermaths. A broad network of socially linked, well known leaders among the people in the districts and energetic worker communist activists joined us and made the cause of advancement of communism their own task. That were the points which made us gain popularity very fast during and after the uprising and made the Communist Current well known over the whole of Iraqi Kurdistan, in a very short period of time. The other organisations of the worker communism especially the Struggle Union of Worker Communism SUWC and Workers View W.V were very active too and had a wide network of activists of young men and women but not strong disciplined organisations. Organisationally they were dispersed and have a sort of loose connections. Their strength was in being very active in the peoples� council�s movement and to a lesser extent in the workers� councils� movement. Many leaders of the people�s councils were among their ranks in the cities of Suliemanya, Erbil and Kirkuk ..etc. In fact, the �worker communist�� activists and organisations started the uprising in the major cities. We did have the platform for it, we did have the organisations, the leadership and the activists on the ground to initiate it. But when an uprising happens and the people take the courage to take initiative, the course of events gets out of control of the most organised parties. The uprising was a huge violent action in almost every major city and town of Kurdistan in which masses came out to express their anger and take their own back from the intelligent forces and from all what related to the Baath regime. It was a massive action to give shape to something different. The role of the left was not only that it initiated the uprising, it was much more than that. The left started straight away to form councils in the neighbourhoods and later on in the factories and the places of work. The councils in the districts and factories were setup everywhere mainly as a result of the activities of the left activists and organisations. The C.C, had already published thousands of copies of a platform called �Our Immediate Tasks� which I had written after a comprehensive discussion in the leadership. The platform was a sort of simplified guideline, as what is to be done during the uprising. The main thesis in the platform was the building up of an independent social and political movement of the mass of the working class, toilers and the deprived people to take the power into their hands and defend it if the Kurdish nationalists would have tried to take it back from them. We had called the people in that platform to take their plights into their hands through the coming uprising by forming workers and peoples councils. The councils should rule Kurdistan. We asked for challenging the Kurdish nationalist parties and the Kurdistan Front (KF) about the political plight of the society. We said to the people and the workers do not let the Kurdistan Front take the fruits of your own actions and deprive you from it. We called for all people to be armed, drive the forces of the Baath regime out of Kurdistan, take the power into their hands and establish a just public trials of the criminals. As I stressed on earlier, the majority of the left wing organisations like the W.V, and SUWK, and others did have a bigger role in organising the peoples� councils� in the districts but C.C was practically stressing on setting up the workers councils as the core and main force of the councils movement. There were some misunderstanding in that regard among us, the left organisations, but it was not crucial in defining the practice of each one. Even the difference in slogans was not very important in that period of time. C.C had the slogan �Freedom, Equality and Workers State� but the majority of the left raised the slogan �Bread, Work and Freedom and Councils Government�. Whatever were the differences between us but in practice we were empowering the people and the left by our actions. Therefore, up to the counter attacks of the Baath regime in the beginning of April 1991, the councils were there, organise meetings and run the daily work in support of the people and the workers. But in the same time the Peshmarga (the armed wing of the KF) and the Kurdish nationalists parties were strengthening themselves, building up their army and recruiting thousands of the paramilitary forces into their ranks. They were really busy with building up themselves as a ruling party and did have a united front for that purpose in that time. They portrayed the image of themselves as being the new rulers of Kurdistan. They were trying to run the check points and show some kind of ruling image to the people. They, later on, tried to harass the activists of the councils and agitated publically against the councils� movement and tried to close down the council�s offices by force. The Kurdish nationalist parties looked at the councils� movement as a challenge and a rival to them. An intense struggle was taking place between the councils and the left on one side and the Kurdistan Front (KF) parties and their forces on the other side. The KF parties knew that they did not have an important role in the uprising so they are not easily accepted by the people and the councils. However, an ever increasing struggle between the two social movements were taking place especially in the period of the councils movement from 7th March until 1st April 1991 i.e. until the Baath regime started its military counter attack. The councils were armed and all the left organisations engaged in organising and leading them. But when we look back at that period, the KF parties were trying to make themselves stronger as militia forces and recruiting from different regressive forces in the society. They did have the tradition and experience of how armed parties can resolve the plight of power in the new Kurdistan. To encounter that strategy of the nationalists we, in the C.C had realised earlier how much it would be effective if we could rise up to the task and have the courage to enter the arena as an armed communist organisation and as a challenger to the nationalist forces and their claims to power. This act of facing up to the nationalists was a shock for them. At one point, in May 1991, the PUK forces surrounded our base in Halbja in an attempt to attack but our comrades in the base confronted them and forced them to withdraw their forces. For 3 weeks, starting from 7th March, nobody could control the situation. Both the Kurdistan Front forces and the armed councils and left organisations were the real ruling powers in Kurdistan. The activities of the councils were numerous and included different aspects of the social and political life of the people from the daily works in the districts and the factories to organising meetings and voting for resolutions defining the next set of actions by the councils. The workers councils in the factories in Suliemanya and Erbil, for example, dismissed the old management and replaced them with councils consisting of the representatives of the workers mainly. The details of what the councils� movement did needs to be presented in well documented details, which is beyond the scope of the agenda of this seminar. However, the councils were armed and if the left would have sustained their influence, had political determination to become a major player in the power struggle, united in a party or even agreed on a set of joint actions, they may have become very strong, they may have become a de facto government indeed. Unfortunately, the situation was a sort of chaos, all the forces and different organisations of the left were acting separately. However, the main weak point was a political one, by that I mean the left including C.C did not have enough determination and clear political strategy to become a ruling political force in that society. This whole experiment was short and it took only 3 weeks. However, the left found itself as a real force on the ground with the ability of mobilising the workers and the masses in the councils. The councils� movement challenged the nationalists and did not accept their rule. That was a significant manifestation of steadfastness by the left and the masses organised independently. That period was an important experience of engagement of the left in a mass uprising and councils� movement. The task that was facing the left was huge and it showed a fantastic resolve to fulfil that task. Nobody was in full control and nobody was aware that the government could easily manage to wage a counter attack so quickly. We hoped that the masses in the rest of Iraq could topple the regime but that hope did not materialised. The military counter attack of the Baath started and the tragedy of the great exodus of Kurdistan followed. The majority of Kurdistan people left the cities and towns in fear of retaliation by the Baath regime and in fear of another tragedy of chemical bombardment. The exodus included every one: the KF and the left and the council activists. All seemed helpless in front of the atrocities of the Baath regime. That was a catastrophe and this opened up discussion and intensive debates among worker communism movement in both Iran and Iraq to assess what had happened. In fact, the political perspective that dominated the actions on a massive scale as that of the March uprising in Kurdistan did not happen in void. The activists and the major forces who initiated the uprising were indeed the left but the political prospect that moved the masses of the people to take action was not left view but nationalist one and a populist anti regimes politics. The left itself was not totally freed from this illusion as well. The populist politics of the left was a fact on the ground and that was reflected in the literature of the left wing organisations including C.C. We later on criticised this populist anti regime politics. However, the CC have opposed to the US sanctions and war against Iraqi troops in Kuwait. We criticised the US strategy and policies to establish itself as the sole super power of the world but that remained words as �No to the War� never became our main slogan. We did have the view that the Baath regime was also responsible for that war. Therefore, we exposed the regression and dictatorship of the Regime and its role in bringing the people of Iraq into a disastrous situation. The real politics that moved us was getting rid of the regime and its atrocities and thought that the war and its outcome would not prevent us from building up a strong socialist movement. However, although we did have illusions in many respects but that was not crucial in the course of events because even if the left had adopted that policy of standing up to the war and did not asked for the uprising, it could not stop the course of events and the uprising would have happened anyway. The important point was, what would the left do in that situation. The left in Iraq was a determined force, full of energy and hope. The left entered this situation and recorded an important history for communism. I personally think that the uprising would have occurred even if the left had not participated in it. Although some comrades think that if the left had not had initiated the uprising it may have not happened. I doubt that, as the overall situation was ripe for such an uprising in Kurdistan. However, the most important thing was that in a practical way the left strengthened itself in the course of the uprising and made worker communism a power felt in the society. We knew that the regime forces will be defeated but our task was that we would not let the KF take power in Kurdistan. Whatever the theoretical and political ambiguities we did have about the uprising but practically we did the correct thing. We, the left, entered the arena as an independent force confronting the nationalists with the support of our social forces on the ground i.e. the forces of the workers and the masses and the left as a whole. We did that and that brought results for us and the people. In fact, two socio- political forces were in struggle in the course of events of the March uprising to determine the political plight of Kurdistan society, Worker Communism and Kurdish Nationalism. But, unfortunately, we were not able to conclude that struggle into a triumph for socialism and worker communism in the next few years that followed the uprising. That needs to be studied and the faults and weak points must be identified. Having said all that, my assessment is this: In the uprising two major social and political movements, Worker Communism and Kurdish Nationalism were struggling one against the other to determine the plight of Kurdistan society in that period of time. Unfortunately, worker communism could not win that battle over Kurdish Nationalism, neither in the immediate aftermaths of the uprising nor in the prolonged political crisis of the few years that followed in Kurdistan. What went wrong in the worker communism movement in Kurdistan that made it unable to acquire power, be transformed into a crucial force in the political power map of Kurdistan despite its huge initial success in the uprising and its immediate after maths, needs a special analysis and criticism. Besides, what was the major obstacle that made worker communism movement, which was united in a party (Worker communist party of Iraq), miss later opportunities requires a deep analysis and criticism too. I will present my own views and criticism on this important matter in a future occasion. In a word, the Marxist assessment of that experience is highly an important issue especially for present worker communist movement in Iraq. Here, I only stress on the weak point of the left which I have mentioned above: the lack of political determination and strategy to become a powerful force and engage the workers and the people in the power struggle that was going on between the left and the Kurdish nationalists. I disagree with the idea that factionalism was the main reason for the lack of progress in the left during that time and prior to the formation of WCPI. On the contrary, factionalism was a by-product of the lack of political eagerness to engage in a class based power struggle by the left. However, the debate that erupted among the worker communism movement outside Iraq immediately after the tragic events that followed the military counter attack of the Baath regime against Kurdistan and the exoduses of the masses escaping the cities, was an important debate. That debate could eventually produce a Marxist point of view as to what had happened, especially after it became clear to the comrades in the worker communist movement in Iran that the left in Kurdistan had an important role and was an effective force in the power balance in the society and in the political struggle against the Kurdish nationalists. Besides, that debate led to the breakaway of a nationalist trend in the communist party of Iran and opened up the door for establishing the worker communist party of Iran. The appraisal of this historic event is an issue of high importance for communism and its future in Kurdistan and the rest of Iraq not to mention its importance as part of the history of the left in the world. *As an appendix to the text of this seminar I would like to add the following piece of information regarding a list of names which needs to be completed in the next opportunity. My apology in advance for those names who have been missed out here. Also, It is clear that I have not listed all the members of the CC as that needs more specific information. In late March 1991 a team of 4 members were added to the existing trio of C.C leadership: Awat Saied, Sadiq Aziz, Muhsin Karim and Samir Noori. During the late 80�s few cadres had a vital role in running the underground and technical work of the print house of CC, among them Abdullah Salih, Nawzad Khaild, and also a few more members and individuals had an important role in sustaining the underground work and social protection of the leading committee of CC: Mustafa Bahir, Maysoon Abdul Jabar, Soraya Tahir, Bizhari Sha�ir, Omer Mohammed Faraj, Sherin Abdullah and Aso Raouf. After the uprising a major development happened to the activities of C.C. Many resolved and some of them publically known cadres took the responsibility of running the offices and public activities of the C.C: Khabat Majid, Dr. Amin Osman, Nazar Akrwai, Jamal Koshish, Azad Hama Karim, Dara Munzir, Dlawer Munzir, Nazir Omer Ali ( murdered by KDP forces in Smiel in 1993 after the forming of the WCPI), Aras Maoulod (murdered in July 1991 by joint forces of the government and the PUK in Erbil), Jalil Shabaz, Peshraw, Kaywan Raouf, Kawa Ali Sheia, Anwer Ali, Mohammed Guafour, Abdullah Sleiman, Adil Osman, Jamel (Abdullah), Ako, Bzhari Ranya, Rebaz, Rebwar, Namik, Amanj, Kermanj, Serwan, Bahnam Mohammed, Mam Karim, Aso Jabar, Soran, Goran, Nazim Ali, Nawzad ( killed by accident), Rahim Ahmed Amin. **The enthusiasm for councils movement was huge and wide spread among the left. A poem written by Bzhari Shaier, who was himself a C.C activist, reflected in plain words that enthusiasm. The workers councils envisaged in the poem as the eagerly awaited �rise of the sun�, the rise of the only liberating force.